ARPP is the French advertising self-regulatory organization. Its goal is to maintain high standards in terms of legal, honest, and truthful advertising, which is in the interest of both the consumers and the advertisers. Its mission is to uphold the balance between creativity as well as the advertisers’ freedom of expression and the responsibility and respect due to consumers. ARPP members benefit from personal, free and confidential advice delivered by ARPP legal experts. Specialized in consumption and communication law, they answer quickly to any question. Copy Advice works on a member basis exclusively. This type of advice concerns any type of media and can be delivered at all steps in the creation of the advertisement. A simple question, or idea. Copy advice requests and the enclosures must be sent through the new online submission system ARPP.PRO. 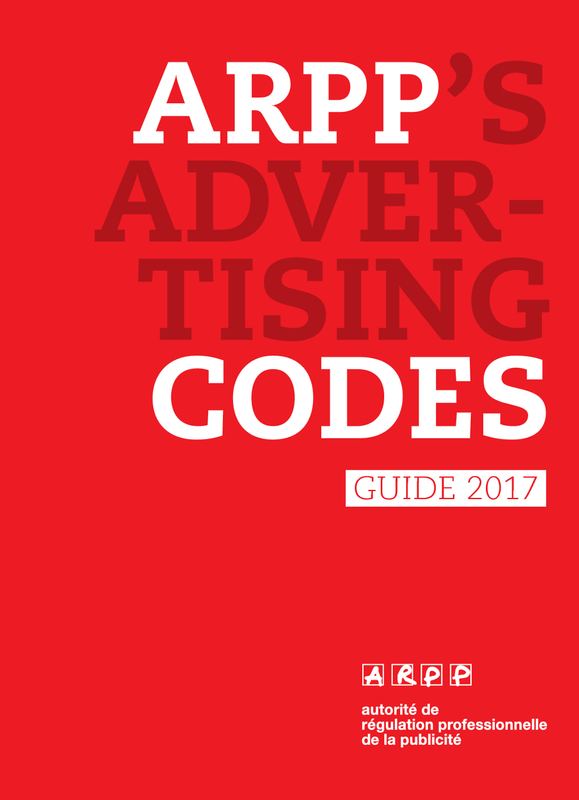 In order to ensure their compliance with the best possible legal and ethical standards, the advertising industry gave ARPP the task of clearing all TV advertisements before broadcast. Each advertisement must be sent to the ARPP via the dedicated website : l’ARPP.TV. Information about membership fees can be found here. The advertising industry voluntarily regulates itself: advertisers, agencies and media drafted ethical standards and good practices (ARPP Codes), in order to insure that all advertisements in France are exemplary, going beyond the simple implementation of the law. The Conseil Paritaire de la Publicité (CPP) which effectively is a body that promotes dialogue between professionals, consumers associations and environmental associations, contributes to the drafting of new standards by publicly voicing its advice on the creation of a new standard. Then, ad-hoc technical commissions are in charge of the actual drafting of the new standards. They are composed of professionals (advertising agencies, advertisers, media companies) and of ARPP legal experts. Mandatory clearance before the broadcast of all TV and VOD commercials. In order to ensure their compliance with the highest possible legal and ethical standards and practices, all French TV Channels gave ARPP the task of clearing all finalized TV and VOD commercials before broadcast. The ad can only be broadcast if ARPP clears the ad. If necessary, it will request that modifications prior to broadcast or if an ad is truly in breach of the codes it will bar the ad from being aired at all. The legal experts can also take hold of a breach noticed after the broadcast and contact directly the advertiser. Ensure the correct implementation of ARPP Codes. Measure and prove the efficiency of self regulation. They are all published on ARPP’s website. ARPP is solely financed and entirely managed by advertising related businesses. It does not receive any subsidies provided by public institutions. The funding of the association is secured through membership fees (80 %). Further income is generated through ARPP’s pre-clearance services and training sessions. ARPP, as set in the statutes adopted in 2008, is chaired by an independent and eminent individual. S/He leads the Board of Directors, where all the major actors of the French advertising industry are represented. François d’Aubert, has been the Chairman of the ARPP since November 2011. ARPP legal team is composed of legal experts specialized in law and ethical codes. Its Managing Director is Stéphane Martin since April 2010. To follow the quick evolution of sensitive issues and the values put forward by society. Keeping ahead of such evolutions is important to ensure that standards keep pace with current issues. CEP gathers independent experts and professionals, and is a place for open discussions on advertising ethics. The composition of CEP aims at insuring a dialogue between the different families of the industry and experts from civil society. It is set out that the President of this body (Dominique Wolton) should be an independent person not linked to the industry. This person then chooses the seven experts from civil society, who must also be independent of the industry. The President makes sure the members of the CEP represent the diversity of the society and have extensive knowledge in a wide range of areas: sociology, physics, psychology, pedagogy, linguistics and politics. On new issues related to advertising ethics the CEP produces reports in order to study and predict the evolutions of society concerning advertisements and proposes new or adapted standards of advertising ethics. An evaluation of self-regulation itself the CEP is an organ that critics and judges the efficiency of self-regulation. It points out the sectors where more vigilance is necessary. The CEP, therefore, has an objective and expert point of view on the relation between advertisements and their social environment. Its mission is to alert ARPP Board of Directors on the expectations of different associations or organisms concerning the content of advertisements. It also contributes to the discussion on the constant re-evaluation of the self-regulatory codes. Independent authority , handles consumer complaints concerning ads that seem to breach the codes. This body is not competent to deal with complaints concerning ads that violate the law. In this case the relevant governmental authority or court should be contacted. A clearly identified ad, which was effectively broadcast in France. A problem concerning the implementation of the self-regulatory standards (ARPP Codes and ICC Code). The Jury meets frequently in order to guarantee that all complaints will be dealt with in less than a month. Most of the complaints are settled within ten days. A fast-track procedure, reserved for serious and obvious breaches, enables the Jury to take a decision within a maximum period of 48h. All JDP decisions are published on its website. ARPP is one of the founding members of EASA (European advertising standards). EASA is the single authoritative voice of advertising self-regulation. It promotes responsible advertising through best practice in self-regulation across the Single Market for the benefit of consumers and business. Its membership consists of both self-regulatory organizations in Europe and other parts of the world as well as advertising associations. To promote and support the actual self-regulatory systems. To co-ordinate the actions of its members concerning the handling of cross-border complaints. To effectively spread the use of good practices and ethical standards in order to trigger a raise in the self regulatory standards. To publicize the self-regulatory system, encourage the circulation of information on self-regulation in the advertising industry in Europe. Requests can be sent to the following contact form or phone to our client support(+33) 1 40 15 15 40. She will give you information about ARPP membership. Application can be done online https://www.arpp.pro. Membership is submitted to approval of our Board of Directors. Would you like to complain about an advertisement ? Contact the Jury de déontologie publicitaire.